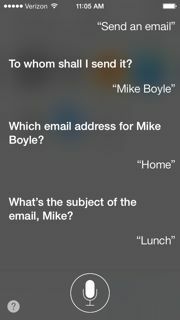 Mike S. Boyle is one of the authors of American English File. You can follow him on Twitter at @heyboyle or join one of his webinars on September 26 and 27. This post originally appeared on Mike’s blog mikesboyle.com. I’ve just upgraded my iPhone to the new iOS 7 operating system and discovered some amazing improvements to Siri, the virtual assistant that responds to your voice. The old Siri barely understood a word I said, but the all-new Siri understands my English perfectly. Not only that, it even perfectly comprehends my far-from-perfect Mandarin Chinese. 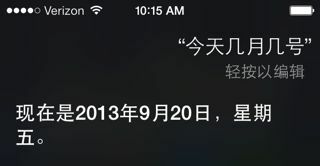 So, what is the potential for the new Siri as a language learning app? How can it help learners of English? Pronunciation is the most obvious area. What’s nice about using Siri is that the aim is intelligibility. Lots of our learners are hung up on getting a “native accent,” a goal which is totally unrealistic for adults. 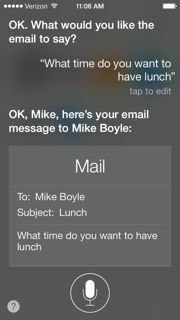 Siri puts the focus back where it should be: making yourself understood. Practicing pronunciation with Siri is also inherently motivating. You want Siri to understand what you say, and you get immediate feedback on whether you were successful. Also, unlike other dictation software, Siri is more context aware and therefore more forgiving of small errors. It will probably work out what you’re trying to say even if you don’t quite say it perfectly, the same way a human listener would. It’s also great that, unlike other pronunciation apps out there, Siri is already pre-loaded on your learners’ phones, it’s only the press of a button away, and it doesn’t cost anything. The value of language practice with Siri doesn’t end there. Your learners will also sharpen their listening skills, since Siri speaks back to them. In the beginning, your learners will want to ask Siri all sorts of silly questions (“Do you love me?” “Where are you from?”) and they will be rewarded with a wide variety of humorous and unexpected responses which they’ll be highly motivated to understand. 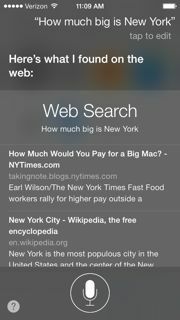 You can also give your learners tasks that require them to understand, and respond appropriately, to Siri’s follow-up questions. Learners can also pick up vocabulary and natural language from Siri. Siri’s responses include lots of useful words and high frequency expressions. This is especially true when you ask Siri silly questions. 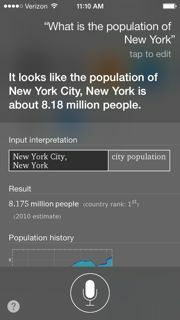 (For example, see this list of 20 hilarious Siri responses from the Freemake Blog post ‘Siri Answers 20 Funny Questions‘.) It’s a gold mine of real, everyday language for your learners. Also, because Siri is programmed to understand natural-sounding questions, this means that it doesn’t accept the awkward or stilted language that our learners often use. As you can see, the unnatural question does not get the answer the learner wanted. You can guide your learners to the more natural question that “unlocks” the answer. Or, even better, you could let them discover the natural way to ask the question on their own, through trial and error. This sort of experimentation is a vital and necessary part of the learning process, but one that obviously involves lots of mistakes. Mistakes made in class are often traumatizing to students and this only slows or even stops the learning process. Siri offers a way to turn mistakes into a form of play. You could also get creative with speaking or pairwork activities for Siri. Have your learners dictate emails and texts to one another. Or, if everyone is comfortable with this, have pairs swap phones and ask Siri questions to learn about their partner. (Siri can answer everything from “What’s my name?” and “When’s my birthday?” to “What am I doing next Tuesday at 8 p.m.?”) Siri also knows lots of trivia, as well as a great deal about the ambient environment (where the user is, what the weather is like, what films are playing nearby, etc.) — so there are really endless possibilities for personalized speaking tasks about your learners and the world around them. I’d love to hear about your ideas for using Siri in your lessons or any experiences you’ve already had! For a post by Mike about the technology hype cycle, go here. Or check out an interview with him about his own site — EasyTweets.